As we shared with you last month, a new school year has started in our L’Esport SUMA program, a project that Gasol Foundation carries out in collaboration with Casal dels Infants in Badalona that targets families at risk of social exclusion. 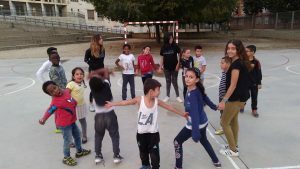 L’Esport SUMA holds monthly sessions to promote healthy family habits with the entire family, as well as daily sessions for young children and kids. 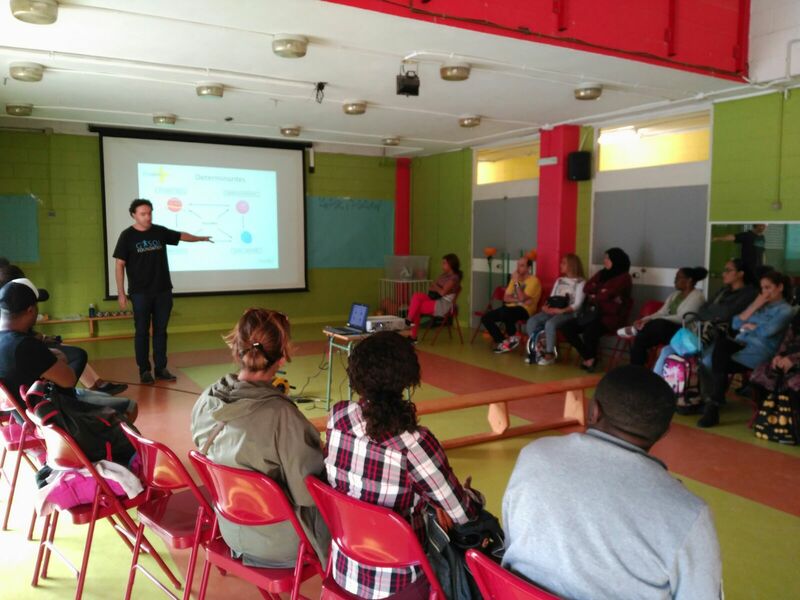 We are excited to share that this year, L’Esport SUMA has more than 40 families participating! 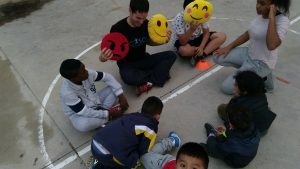 At Gasol Foundation we always work with the approach that a “healthy life” does not only involve a balanced diet, but also regular physical activity practice. This healthy lifestyle should also promote emotional well-being within the family and, most importantly, develop sleeping routines and patterns that provide sufficient quality of rest. We like to imagine that these four components are part of the Healthy Galaxy. Let’s prepare for takeoff! 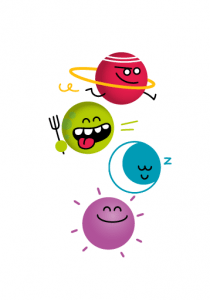 In this galaxy we have 4 planets, one for each component (healthy eating, physical activity sleep quality and emotional well- being). The “emotional well-being planet” interacts with the rest of the three “planets”; as its welfare depends on the others for its survival. This healthy galaxy demonstration is a fun and educational way to learn about the four healthy habits we teach in all our programs. 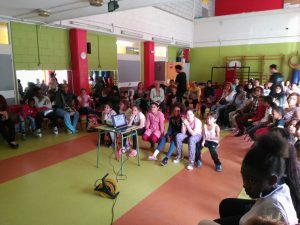 For instance, in our L’Esport SUMA program, we divided the sessions into three quarters, depending on the school year. In a session, the families will learn about one of the four healthy habit components mentioned above. Sleep quality is the first “planet” or healthy habit the families will learn about. 5,4,3,2,1-we have liftoff! In order to reinforce the importance of rest to the l’Esport SUMA families, the negative effects of insufficient sleep and rest patterns were also explored as well. 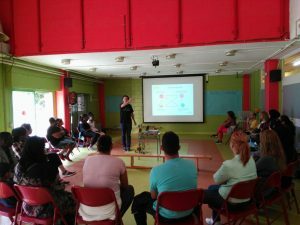 This October session consisted of numerous in-depth discussions about the correlation poor sleep habits can have on other healthy aspects in our lives, such as physical activity, nutrition and emotional well-being. With the families we created a mural containing the concerns and doubts the parents had with regards to creating effective sleep routines and patterns that will allow both children and adults to sleep well. 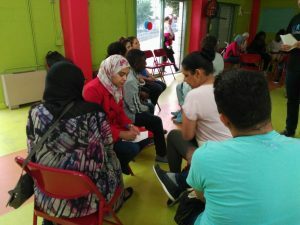 Therefore, we all worked together to brainstorm various ideas and solutions that families can carry out at home so that their children can rest the appropriate amount of hours. After all, who doesn’t have issues every now and then when it comes to trying to put the little ones down to sleep? Together, we were able to compose a list of simple guidelines that can be applied in order to make regular sleeping patterns attainable and manageable in the home. It is not recommended that children ages 6 to 14 years old nap. If they sleep at noon, they may not be able to sleep well at night. Children have to follow a daily routine of sleep to sleep well. Have them go to sleep and wake up at the same time. This same practice also applies during the weekends as well. Going to bed worried, anxious or upset can cause nightmares. Give children the opportunity to express how they are feeling prior to bedtime with someone they trust. The light on the screen affects the rhythm of sleep. It is recommended to turn off the screens 30 minutes before going to sleep. Before going to sleep it is advisable to make a relaxing transition. This too can aid with sleeping better. Routines such as brushing teeth or reading a bedtime story are good substitutes for screens. Relaxation techniques such as breathing or stretching can have positive effects for rest. Consuming a light, healthy and balanced dinner can assist children with sleeping better as well. Unhealthy foods consisting of sugar, caffeine, fats, etc. can cause them to be restless and awake all hours of the night. Room conditions such as noise, light or temperature are key to good sleep also. 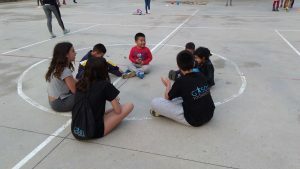 In order to reinforce the concepts that we want to transmit to the little ones about the importance of sleep quality, a session with playful and active games was held on the outdoor playground. 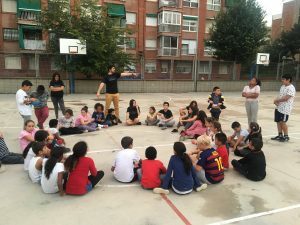 While doing these activities, L’Esport SUMA educators still emphasized the importance of good sleep quality to the appropriate age groups of the children who were participating. 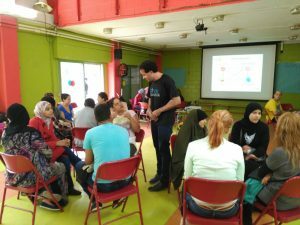 The parents’ workshop emphasized these main points as well. 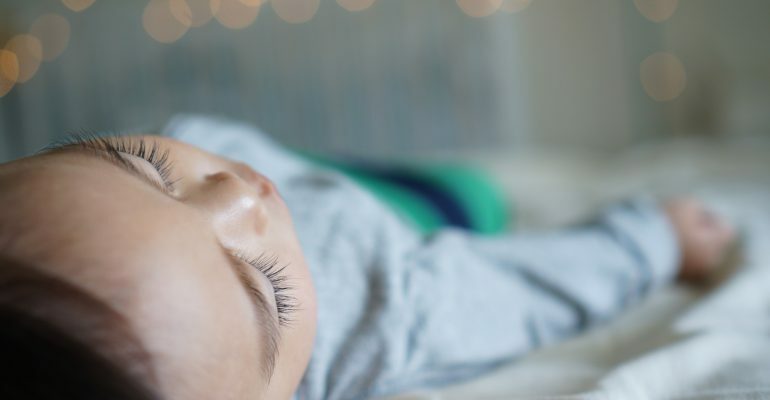 #DidYouKnow that children ages 6 to 12 years old should sleep 10-11 hours a day and children ages 2 to 18 years old should sleep 9-9 1/2 hours a day? Who says that healthy habits aren’t fun? Our families had a great time learning about rest routines! Good Nutrition Is Our Mission!